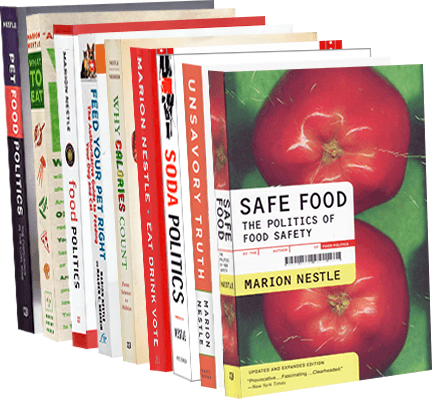 If you want an overview of the current status of nutrition problems in the world, what is being done about them, and what needs to be done about them, this report is required reading (to get to the download button for the entire report, scroll to the end of the page). was produced by the Independent Expert Group of the Global Nutrition Report, supported by the Global Nutrition Report Stakeholder Group and the Secretariat at Development Initiatives. The writing was led by the co-chairs Jessica Fanzo and Corinna Hawkes, supported by group members and supplemented by additional analysts and contributors. For a quick overview, go right to the slide deck and then to the graphics in the executive summary. The report deals both with problems of malnutrition (undernutrition) and obesity (overnutrition), especially in children. It recommends actions to reduce the prevalence of malnutrition and obesity. What stands in the way of implementing these steps? Political will, alas. These reports have come out annually since 2014. Let’s hope this one gets the attention it deserves. 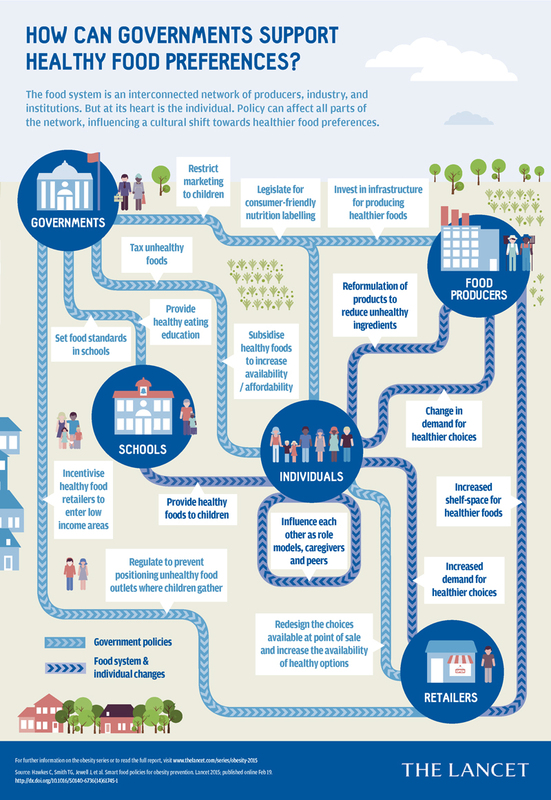 Some time ago, I posted the terrific Lancet infographic on obesity policy. Here are the series articles (or at least the abstracts) that go with it. Rethinking and reframing obesity. Sabine Kleinert, Richard Horton. Strategic science with policy impact.Kelly D Brownell, Christina A Roberto. Management of obesity: improvement of health-care training and systems for prevention and care. William H Dietz, Louise A Baur, Kevin Hall, Rebecca M Puhl, Elsie M Taveras, Ricardo Uauy, Peter Kopelman. As part of its series on obesity, the Lancet has produced this chart to illustrate why it is so important to create a food environment that makes healthy choices easy. Nice!